St. Patrick’s Day in Denver did not result in green beer or waterways, there were not hordes of people stumbling around like you might see in Chicago or Boston, but Coloradans were lucky enough to have beautiful weather and Galactic and The Greyboy Allstars at the Fillmore Auditorium, in Denver. Spirits were high even as the sun was setting and the first few people entered the concert hall. 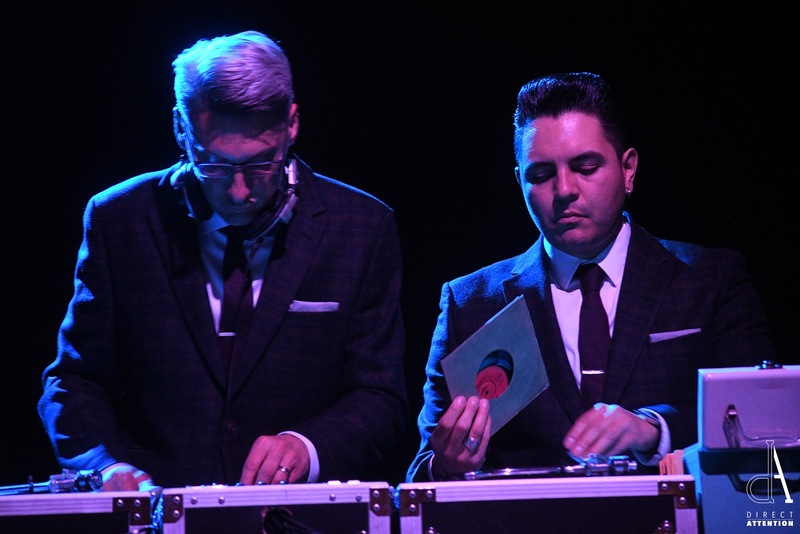 They were greeted by three extremely dapper DJs, flipping through their collection of 45s. 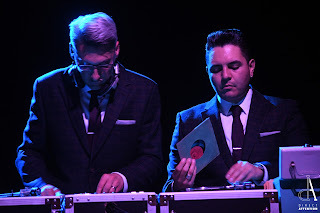 These well-dressed gentlemen had a job that I was envious of, touring around and playing 45s in venues across the nation. The selection of tracks included classic soul, funk and R&B music that may not have been familiar to all of the attendees, but that didn’t stop them from getting down. The auditorium was moderately roomy all night, even into the early set of The Greyboy Allstars. The troupe came onstage to a warmed up crowd eager to boogie down. Each of the musicians brought experience and mastery of their instruments from the multitude of projects they're each involved in. They’re all giants in their own right, but as the band is approaching its 25th anniversary, the players work almost flawlessly as a group. This funky, acid jazz production is primed for taking throwback stylings and bringing them into the contemporary world. One festive set later, attendees cheered the Allstars off the stage and awaited the impending presence of Stanton Moore and Galactic. Galactic is a self-proclaimed jazz-jam band who has been consistently delivering high-quality soul music out of the funkiest city in America, New Orleans. 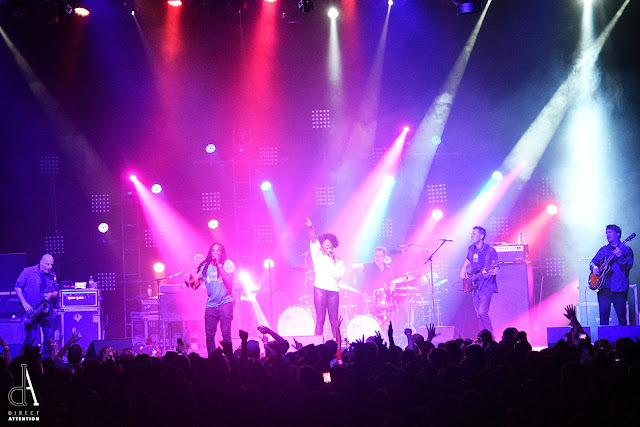 For the past 20 years, the group has been a key influencer in the funk world. The instrumental five-piece came out to kick off their set, but Erica Falls and Corey Henry eventually joined. Falls’ vivacious presence was only overshadowed by her boisterous voice, filling the room with silky, sultry sounds. Falls has been a familiar face at Galactic concerts for quite some time now, her thick soul sound pairing perfectly with the jazzy soul funk that Galactic is known for. As the night came to a close, it was a pleasant surprise to see how few people were struggling to stumble out of the Fillmore. Perhaps the non-traditional approach to St. Patrick’s Day served Denver well. 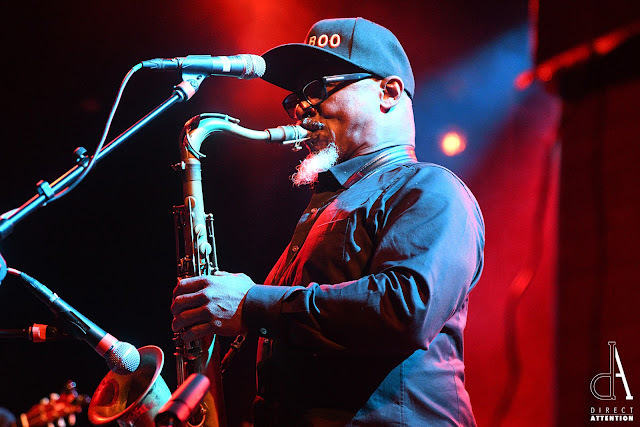 Both Galactic and The Greyboy Allstars share a legacy of influencing jazz-funk groups that came after them, and it was a treat to hear them both in the same night. Though it may not have been the traditional lineup of Irish-inspired festivities, the holiday was a joyous one, topped off with drinking and plenty of dancing. 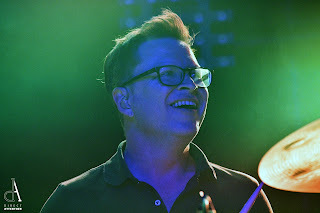 Galactic takes their tour west with weekend dates in Seattle and Portland, before heading to Nevada, Arizona, and California. The new album Into the Deep drops mid-July, featuring a slew of collaborations with the heavy hitting artists they’ve worked with over the years. You can hear the single featuring Macy Gray now on many platforms, including on Galactic's website, as well as Youtube.com.